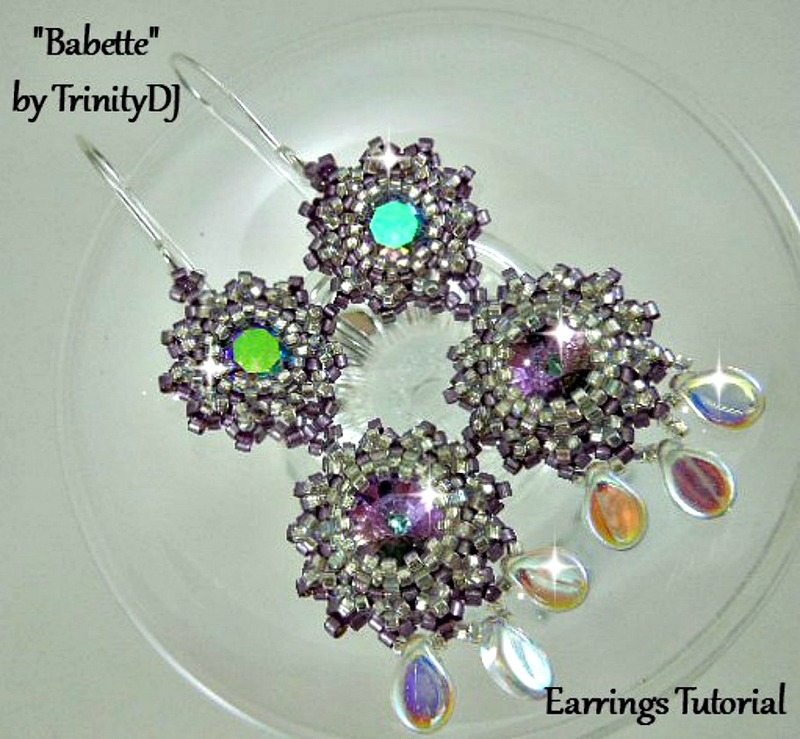 This is a round peyote stitch earrings tutorial. 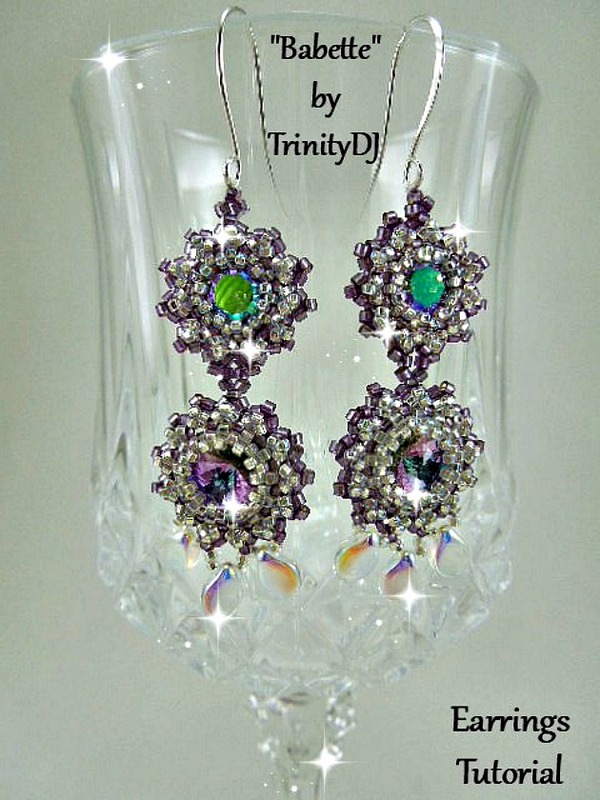 In this tutorial I show you step by step, with lots of detailed photos and easy to follow instructions, how to create these earrings. This pattern is designed for the use of 2 10.7mm Rivoli crystals, #11 and #13 Delica seed beads, 2 earring hooks, #15 Japanese seed beads, 2 x 8mm Chaton crystals, 6 pip beads and 5 lb nylon thread with #10 or #12 beading needle.